Peel prawn shell, split and cut the squid into circle. 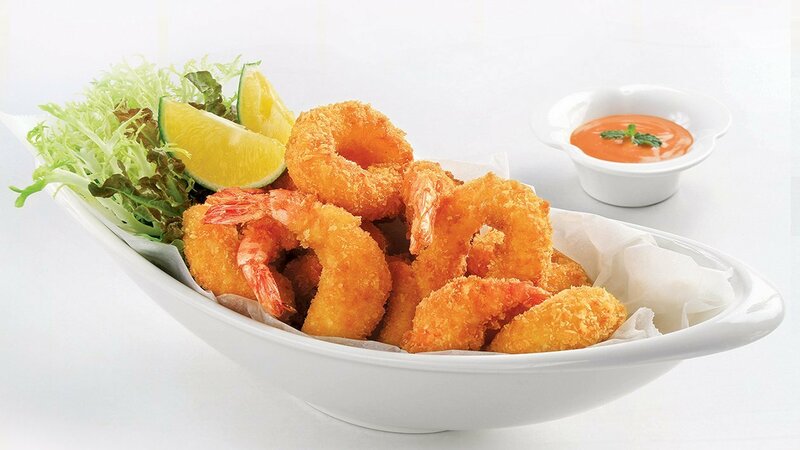 Marinate prawns, squid with 5g Knorr Seafood Powder and ground pepper, roll over Knorr Cornstarch for a thin coat, then dip into eggs and roll over fried flour (fried crunchy). Fry the seafood in hot oil for crispy cover, then pick out and drain. Serve the seafood on plate and decorate with lettuce. Hot served and serve with dipping sauce that made by Mayonnaise Real BEST FOODS and Knorr Tomato Sauce.